Interested in Resale or Lease? Want to Sell or Lease your property quickly? Overview - Why invest in The Poet? Inspired from the energy of Queen Street and the village feel of Leslieville, Field Gate Homes brings to you a modern, warm and friendly mid-rise building in The Poet. The Poet is an intimate 6-storey residence home offering 66 condominium suites, 3 town homes and a penthouse collection. The Poet development has dynamic stepped terraces, recessed balconies and offers a modern, warm and friendly vibe. There are plenty of plush seating areas, a sleek reception area and a welcome concierge for all your needs. With a wide range of amenities on offer, The Poet is setting a new standard in urban mid-rise and condominium living. There is a warm jewel toned party room, a wet bar, plush banquette and lounge seating. Residents can also catch their favorite movie in style with floor to ceiling screen walls. You can also sweat it out on the Martin Goodman trail or the fully equipped fitness center. There is a barbecue area for a fun time with your friends, abundant natural light and direct access to Maple Leaf forever park. Located in an excellent area, this development really has everything for a homeowner or an investor. Confirm your booking now! Since 1957, Fieldgate Homes has been developing and building in almost every corner of the Greater Toronto Area. A fully integrated builder of master planned communities, residential high-rise and commercial developments across the region, Fieldgate is widely recognized as a leader in architectural distinction and for its rigorous attention to detail. Building on this history, Fieldgate Homes has further diversified its brand by forming Fieldgate Urban, a specialized division focused on building midrise communities and new condominium homes in vibrant urban settings. Square Yards is a technology-enabled O2O transaction and aggregator platform for the Global real estate. It offers a comprehensive and integrated menu of global property & asset portfolio by using technology, data, research and a diversified presence to make global real estate investments’ decision-making more research-led and driven by risk/reward perspective. Square Yards has achieved a significant scale in facilitating real estate investments worth USD 2 Billion+ to 25,000+ satisfied customers worldwide through its direct presence of more than 2000 employees in 40 cities in 8 countries including Australia, Canada, Hong Kong, India, Oman, Qatar, Singapore, and the U.A.E. Exclusive Listing: Square Yards Real Estate INC. Brokerage. Brokers protected. Illustrations are artist’s concept. Specifications are subject to change without notice. All brand names, logos, images, text, and graphics are the copyright of the owners Fieldgate Urban, *Conditions apply. Limited time offer. Reproduction in any form, without prior written permission of Fieldgate Urban, is strictly prohibited. 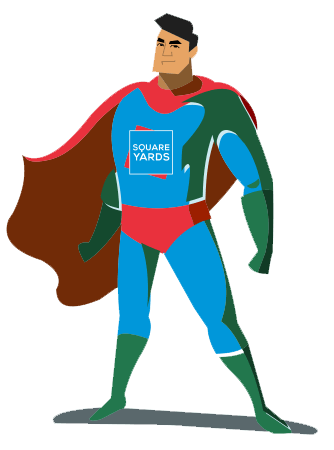 E. & O. E.
Would you like to join Square Yards as an Agent?